«Signing of the agreement with Spanish colleagues is the result of out interaction aimed at continuous training of our inspectors and sharing of the information about the structure and activities by GMP inspectorates, peculiarities of inspections and national regulations in terms of GMP, GDP, effective certification and licensing procedures,» said the Director of SID & GP Mr. Vladislav Shestakov. «Formalizing our cooperation with AEMPS (from a legal prospective) will allow Russian and Spanish inspectors to be more actively involved in GMP inspections as observers. Indeed, our Spanish colleagues have more than once attended the inspections carried out by Russian inspectors in Spain as observers. 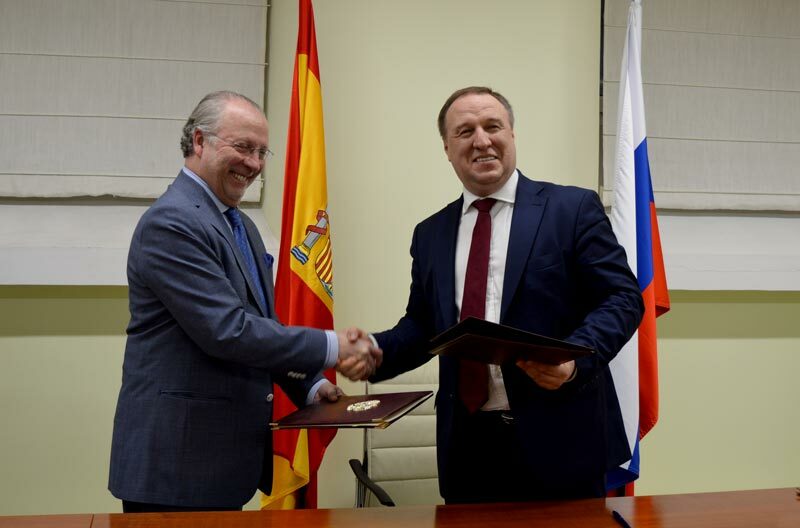 We will share the experience of taking measures against counterfeit drugs and will continue to practice joint training of our inspectors by organizing training inspections in Spain and in Russia,» commented on signing of the agreement Mr. Vladislav Shestakov. Regardless the negative dynamics in 2018, in volume terms, the sales of Spanish drugs in the Russian market have reached 1,329,432 packs. In the period from 2015 to 2018, Spanish drugs retained their position in the Russian market – their share was 0.3% of the total volume of the drugs market. In monetary terms, otherwise, the volume of sales in 2018 was at the level of the previous year and comprised RUB 1,898,133,704.78 rubles. Furthermore, falsified and illegal medicines and medical devices, spread out worldwide, imply an important risk for public health. The manufacturing, distribution and sale of these products are an awfully lucrative and illegal business which entails a global threat for patients’ health. Thus, by virtue of this agreement, the FSI «SID & GP» and the AEMPS will additionally collaborate by sharing strategies in this area what will certainly strengthen the effectiveness of these actions for both institutions to safeguard citizens’ health.